WoodBlocX™ can be used in the same way as new or old railway sleepers, without the problem of creosotes seeping from the reclaimed sleepers in warmer weather, making them unsuitable for certain projects like fish ponds. If you’re planning a garden landscaping project featuring railway sleeper raised beds, railway sleeper retaining walls, flower beds or vegetable beds why not consider using WoodBlocX instead? They perform the same function as wooden sleepers and unlike them, WoodBlocX are clean and lightweight. There is no heavy lifting required – construction can be performed by a single person and no power tools are needed at all. The unique design of WoodBlocX makes your structure extra-strong so it won't easily distort, unlike other wooden products, so you can be confident your retaining wall, pond or decking won't give way. WoodBlocX can be expected to last for up to 15 years without rotting or distortion when installed following our simple guidelines. WoodBlocX are also manufactured in line with current soil association guidelines, perfect for use in planet-friendly, organic gardens. So anything a railway sleeper can do, WoodBlocX can do too. 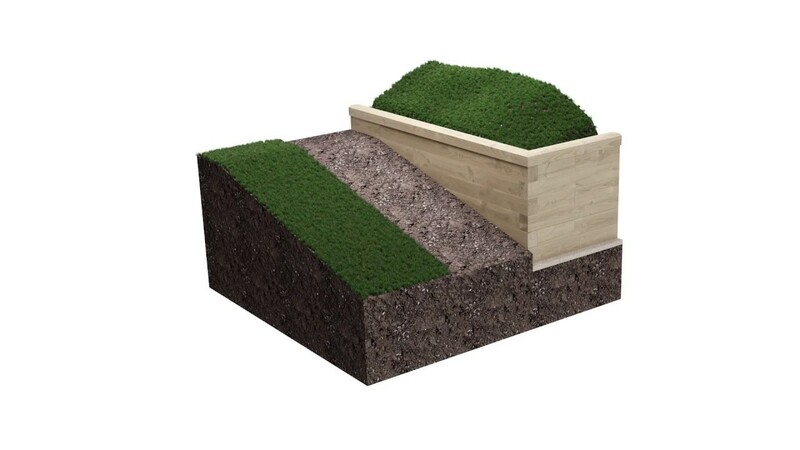 Their hard-wearing nature means they are perfect for retaining walls, raised flower and vegetable beds, garden benches, fish ponds, garden and lawn edging, composting area or even children’s sandpit. With a multitude of uses, WoodBlocX are a gardener’s new best friend and they’re rapidly becoming a popular choice in most garden or outdoor area designs.